et occidam omnem populum ad quem ingredieris. all the people against whom you shall come. I have therefore found it necessary to deny knowledge, in order to make room for faith. The dogmatism of metaphysics, that is, the precondition that it is possible to make headway in metaphysics without a previous critique of pure reason, is the source of all that unbelief, always very dogmatic, which wars against morality. Ich mußte also das Wissen aufheben, um zu Glauben Platz zu bekommen, und der Dogmatism der Metaphysik, d.i. das Vorurteil, in ihr ohne Kritik der reinen Vernunft fortzukommen, ist die wahre Quelle alles der Moralität widerstreitenden Unglaubens, der jederzeit gar sehr dogmatisch ist. The notion of the sacred or the numinous (numinosus) as a category for understanding religion was substantially launched by Rudolf Otto (1869-1937) in his classic Idea of the Holy (Das Heilige) in 1917. Otto, indeed, coined the term "numinous," which has now become part of common usage. Otto's influence on thought about religion extends from C.G. Jung (1875-1961) to the "Chicago School" of history of religion founded by Mircea Eliade (1907-1986). On the other hand, Otto's influence on the philosophy of religion has been less strong, perhaps because he was professionally more of a theologian (not rigorous enough for philosophers) and is too easily misunderstood and dismissed as describing some kind of mysticism. Even in the history of religion, Otto's own analysis often does not persuade because of his clear preferences for Christianity and his devaluation of religions that do not measure up to Christian paradigms. The history of Rudolf Otto's theory of the sacred begins, however, more than a century earlier, with the great philosopher Immanuel Kant (1724-1804). Otto's own confidence in his ability to talk about God has its origin in Kant's own theory about the basis of the concept of God in human reason. In the Critique of Pure Reason (1781) Kant had reworked the traditional distinction between the immanent (within the world) and the transcendent (outside the world) by distinguishing between phenomena and things-in-themselves. "Phenomena" are how it is that objects appear in our own conscious minds. We do not have access to the world outside of the experiences we enjoy through our own consciousness, and Kant believed that consciousness itself, or the possibility of conscious experience, imposes certain conditions on the manner in which phenomenal objects appear to us. Among those conditions are the forms of space and time and the abstract forms of connections between events and objects such as the concept of substance and the relation between cause and effect. David Hume (1711-1776) had challenged philosophers to show why it is that we believe in principles such as the one that every event must have a cause. Kant's answer, then, was that the mind itself constructs a phenomenal reality according to just such a rule. Things-in-themselves, in turn, are the way that reality exists apart from our experience, our consciousness, our minds, and all the conditions that our minds might impose on phenomenal objects. The question occurs, then, whether concepts like substance and cause and effect apply to things-in-themselves the same way that they do to phenomena. Kant did not think that we could know. However, he did notice something very curious: it isn't just that we apply the principle of cause and effect to phenomena, it is that we apply in a certain way. In phenomenal reality, cause and effect are applied in a continuous series. Every effect has a cause, but every cause also has a cause, and so forth, ad infinitum. This adds up to a philosophical principle of determinism, that everything is causally determined to act in a certain way. Kant believed that science sees things that way, but we do not, for the idea of free will contradicts determinism. Free will involves a free cause, i.e. a cause that is not determined by some prior cause. We can also call that an unconditioned cause, since it is free of a prior causal condition, and it occurred to Kant that a characteristic of phenomenal reality was that everything was conditioned by something else. In that, Kant hit upon the same point that had been made earlier in Buddhist philosophy: in the reality that we see, everything is conditioned by everything else. One example of this in Buddhist thought is the doctrine of Relative Existence or No Self Nature: Nothing has a essence, nature, or character by itself. Things in isolation are shûnya, "empty." The nature of things only exists in relation to everything else that exists. Existence as we know it is thus completely relative and conditioned by everything else. Only Nirvâna would be unconditioned, although we cannot know what it is like. If an unconditioned cause cannot occur in phenomenal reality, then it could only occur among things-in-themselves. But for all we know, even if cause and effect do apply among things-in-themselves, determinism may even be true there also. Other kinds of unconditioned objects, like God or the soul -- God is not conditioned by anything, and the soul is free of most of the conditions of phenomenal reality, like corruptibility -- might also exist among things-in-themselves, but we cannot be sure about that either. Thus, Kant did not believe that it was possible to prove things about things-in-themselves. If we try to do so, we create what Kant called "dialectical illusion," involving contradictions in reason itself, e.g. between determinism and free will, which Kant called Antinomies. Kant's Fourth Antinomy lays out equally compelling arguments for and against the idea of a Necessary Being, i.e. a God. Nevertheless, Kant believed that the existence of things like God, freedom, and the soul could not be disproved; and in the Critique of Practical Reason (1788), he decides that the Moral Law provides us a basis for making certain decisions about transcendent objects that mere theoretical reason could not do. Thus, we believe in free will because we must if we are to use moral concepts like responsibility, guilt, praise, blame, retribution, punishment, etc. ; for according to determinism, no one is actually responsible for their actions, and scientific explanations will always reduce people to creatures of remote causes, e.g. genetics, childhood, society, drugs, disease, etc. All three of what Kant called the "Ideas" of pure reason in the First Critique -- God, freedom, and immortality -- Kant comes to believe are motivated as objects of rational belief, on the basis of moral considerations, in the Second Critique. The next step towards Otto comes with an obscure post-Kantian philosopher, Jakob Fries (1773-1843). Friesian theory is little known today, but Fries does rate honorable mention by perhaps the greatest recent philosopher, Sir Karl Popper (1902-1994), who says, apropos of G.W.F. Hegel's dialectical method: "For the truth is, I think, that it was not at first taken really seriously by serious men (such as Schopenhauer, or J.F. Fries)..." [Karl Popper, The Open Society and Its Enemies Vol II, Princeton University Press, 1966 (1945), p. 27]. Popper himself, in his seminal The Logic of Scientific Discovery (1934), says that he considers his own system of thought a successor to the Friesian pattern, probably because Fries revived the Aristotelian principle that not every proposition needs to be proven. Popper believed that scientific theories do not need to be proven because they are actually falsified instead. As with Schopenhauer, Fries was attempting to come to terms the problems in the Critical Philosophy of Immanuel Kant. Fries was not impressed by Kant's arguments for belief based on practical reason. Like Kant, however, he did believe that the notions of God, freedom, and immortality are necessitated by reason. He concluded, in his Wissen, Glaube und Ahndung [1805; available in English as Knowledge, Belief, and Aesthetic Sense, translated by Kent Richter, Jürgen Dinter Verlag, 1989], that we simply must accept that these concepts spring from theoretical reason directly as, indeed, a kind of rational belief (Glaube), which we will not be able to understand in the way that we understand science or the world of experience (what Fries called Wissen, "knowledge"). On the other hand, Fries was put off by the bloodless rationalism and moralism of Kant's theory. Kant had provided a place for feeling in his system, in the Third Critique, the Critique of Judgment (1790); but his view was that the feelings of the beautiful and the sublime did not arise from any direct relationship to external reality but only from a subjective harmony of our own mental faculties. Fries did not think such a theory was good enough. He thought that aesthetic and religious feelings were real cognitions of their objects but that they existed in dissociation from any concepts that would make them real matters of Wissen or understanding. Kant himself had earlier believed in such an aesthetic realism, but he later decided that only morality related directly to things-in-themselves. Thus, after a fashion, Fries extended Kant's own theory of the mind: Kant had thought that experience arose from the synthesis, the active unification, of sensations according to rules provided by pure concepts of the understanding. Kant then figured that reason had some concepts, the Ideas of God, freedom, and immortality, for which we have no corresponding sensations and so no corresponding experience or understanding. Fries merely added that there are corresponding sensations, aesthetic and religious feelings, but that synthesis, experience, and understanding still do not actually occur between the sensations and concepts. Fries calls these feelings that we have independent of reason and understanding Ahndung, or "intimation." They are intimations of the transcendent. Where Kant had thought that it was only through reason and morality that we are related to things-in-themselves, Fries adds that there is a component of feeling to this relationship as well. Fries was thus bound to see religion differently from Kant. In Religion within the Limits of Reason Alone (1793), Kant had reduced religion to a phenomenon of reason and morality. Kant believed, indeed, that morality was what religion was all about and that it provided a basis for rational belief in concepts like God, freedom, and immortality; but this provided no ground for any other aspects of traditional religious practice, belief, or experience [note]. Fries was able to add an important component, that the central aspect of religion was not so much reason as feeling. But Fries still provided little room for most of the traditional contents of religion. Even though both Kant and Fries were, in some general and cultural sense, Christians, there was nevertheless no reason in their systems of philosophy to believe anything more than that Jesus Christ was a particularly good moral teacher. Fries might make Jesus some kind of poet in addition, but there was still no way that he could admit anything like traditional Christian views about the status and function of Jesus in the nature of reality or the scheme of salvation. Indeed, Fries had a moral objection to the idea that Jesus might have suffered for our sins and redeemed us from damnation. Salvation itself could only remain an alien concept to both Kant and Fries, but it is hard to see what something like Christianity (or Islam or Hinduism or Buddhism) could possibly mean as a religion without the idea of salvation. Kant and Fries thus both represent a strong sort of philosophical rationalism, albeit one with much more room for something like religion than the reductionistic materialism that became common in the 19th century (continued and continuing among many in the 20th). 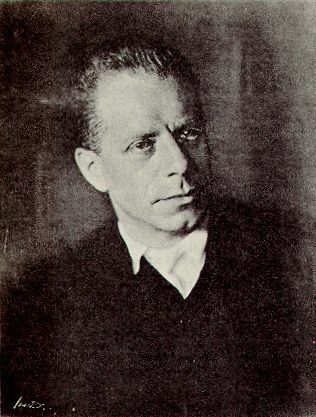 Fries himself was simply forgotten until rediscovered by a later German philosopher, Leonard Nelson (1882-1927). Nelson added little beyond lucid exposition and restatement to Fries's view of religion, but Nelson did introduce Fries to a colleague of his at the University of Göttingen: Rudolf Otto. Otto had a clear sense that there was much more to religious feeling than what his philosopher friend allowed through a sense of the beautiful and the sublime. But he also thought that there was no reason not to add that extra feeling into the very fine metaphysical and epistemological framework, the theory of Ahndung, that Kant and Fries had actually provided. Thus, as a purely descriptive matter, Otto believed that we are related to the transcendent, not just through morality, and not just through the beautiful and the sublime, but through a sense of the holy and the sacred, categories of value that are unique and characteristic of religion. Otto takes the Latin word numen, "the might of a deity, majesty, divinity" [see discussion of its etymology in the following essay], and coins the term "numinous" to describe either religious feelings or the religious aspect attributed by those feelings to experiences and objects. He characterizes the feelings as involving 1) ultimacy, 2) mystery (mysterium), 3) awe (tremendum), 4) fascination (fascinans), and 5) satisfaction. Unassociated with any objects, the sense of the numinous is a feeling of "daemonic dread," a sense of the uncanny, frightful, eerie, weird, or supernatural. These feelings make us feel vulnerable and overpowered, what Otto calls "creature feeling." A lot of this now sounds like it would go with a horror movie and be associated more with the "forces of evil" than with the God of Judaism, Christianity, or Islam, let alone with Jesus or the Buddha. However, the "forces of evil," if taken seriously enough, as Satan, demons, etc., actually are supernatural and numinous; at one time most religions did not clearly distinguish between benevolent powers (Orisis) and malevolent ones (Seth) as such; and, finally, the God of the Old Testament and the Qur'ân really is a terrifying, overpowering, awesome, even dreadful being -- not because He is at all evil, but just because He is genuinely supernatural and uncanny. The expression "fear of God" is not appropriate because wrongful harm is necessarily to be feared from God, but because the kind of reality God represents is superlatively awesome and frightening just because of what it is. Even in Buddhism, this sense turns up in the "Wrathful Deities" who are particular manifestations of Buddhas and Bodhisattvas in the Vajrayana form of Buddhism found, for instance, in Tibet. Taking Otto to be a mystic, which is typical in philosophy of religion, involves a serious misunderstanding or distortion of his theory. Mysticism might be defined as some kind of direct, immediate, or perceptual knowledge of transcendent objects, e.g. God, angels, etc. That might have been the experience of Abraham, Moses, Job, etc. ; but it is not the experience of most ordinary religious believers, and it is not what numinosity (numinositas) is particularly about, although Otto's language may suggest that at times, and Otto was interested in mysticism. Instead, Otto clearly distinguishes our concepts of the ultimate transcendent objects of religion from the ordinary rites and experiences common to most religious believers, which contain the numinous feelings about non-supernatural objects. The concepts, as far as he is concerned, come from reason, just as Kant or Fries would have thought. A mystic claims more than that, and Otto does not seem particularly inclined to credit this as real except as an enthusiastic overinterpretation of numinous feelings, or in extraordinary moments of religious revelation about which we may have to suspend judgment. 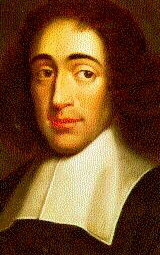 Indeed, it is the importance that Otto assigns to reason that creates the greatest difficulties for this theory. Otto accounts for the difference between historical religions in two ways: 1) religions reflect different degrees to which ethical questions have been assimilated into religious consciousness. He calls this the ethical "schematization" of religion, and he seems quite justified in regarding this as a historical innovation. Greek philosophers, the Jewish prophets, the Iranian prophet Zoroaster, and the Buddha all introduce strong moralizing tendencies into their religions. Now it is hard to imagine religion without a moral aspect, but that really had little to do with early Greek, Egyptian, Babylonian, or any other ancient religion or, for that matter, modern Shintoism. Otto also believed that, 2) religions reflect different degrees to which the Kant-Friesian religious Ideas have been assimilated into religion. Thus, not all religions have a single creator God, and Otto is willing to dismiss the sophistication of Buddhism, along with ancient polytheisms, as insufficiently developed compared with Christianity. Since he believes that Judaism and Islam are insufficiently developed morally compared with Christianity, Otto comes to the, for him, comfortable conclusion that Christianity is the supreme religion. The force of these views, however, rests on the credibility of Kant's and Fries's arguments for their rational faith in Ideas like God, freedom, and immortality. Fries's confidence in rational Glaube seems unwarranted because of the serious rationality of a Buddhist philosophical tradition that contains nothing like what he regards as "natural" to reason. Kant was somewhat more agnostic and careful than Fries, but he produces only the lamest of arguments for Ideas like God and immortality. Even Kant's argument for free will, which seems more credible than the others, is confused and defused by the traditional Islamic doctrine that there is free will but that God, as the only cause of everything that happens, including our own actions, is the only being who has free will. Since the important philosophers Baruch Spinoza (1632-1677) and Arthur Schopenhauer (1788-1860) both propose very similar theories, it is hard to see how their disagreements do not demonstrate the very "dialectical illusion" that Kant himself describes. Even the ethical "schematization" of religion creates a problem for Otto. The traditional Problem of Evil does not even arise when the gods are both good and evil. Nor does it arise very much for Islam, where the Qur'ân plainly says that God does what He pleases and that it is not our business to question Him. But where an omnipotent, omniscience God is ethicized to the extent that He is supposed to be perfectly moral, then the difficulty of the existence of evil in the world, and its evident toleration by God, becomes acute. For many modern Christians, Jews, and others, the moral reproach to God of the world, especially after the horrors of the 20th century, has become so acute that it destroys faith and denuminizes God and religion altogether. Buddhism is certainly in better shape when the presence of suffering is simply taken as a given, no attempt is even made to explain why the world is structured so as to allow such a thing, and the Buddha can be charged with no responsibility for a situation to which he only offers the solution, not the explanation. The result, of course, is there is no explanation whatsoever for the ultimate nature of reality. That may be the most modest and wisest position, but it is also one that tempts even Buddhists into occasional speculations. As Kant would certainly say, this is not a situation that our reason has an easy time leaving alone; and most sophisticated religions, apart from Buddhism, attempt some sort of explanation, however much those must become part of "dialectical illusion." Stripping away the confident positive "rational" side of Kantian and Friesian theory would leave Otto with a much more credible theory. However religious concepts are related to reason, historical religions present us with very different views of ultimate reality and the purposes of human life. Kant's own theory of the Antinomies describes this situation better than anything else, and it is in turn suggestively conformable to the Buddhist doctrine of the Four Fold Negation: the Buddha had affirmed, for instance, that the person who attains Nirvâna neither 1) exists, nor 2) does not exist, nor 3) both exists and does not exist, nor 4) neither exists nor does not exist. While this powerfully expresses the magnitude of our disability to say anything positive about the transcendent, its logical force is simply to posit a contradiction, which is thus equivalent to the contradictions in Kant's theory of the Antinomies. These considerations, however, carry us well beyond Otto's own theory and the historical form of the Kant-Friesian tradition. Further development will therefore be handled separately. Finally, however, a couple of additions to Otto's theory should be noted. The first is made by Mircea Eliade. Eliade claimed that one of the most important senses of a hierophany, an appearance of the holy, was as an ontophany, an appearance of Being. Sacred realities thus represent real existence while profane or mundane realities are in some ultimate sense merely non-existence. In terms of space, this means that the creation of the cosmos, which is accomplished by numinous beings (but recapitulated in the founding rituals of cities, buildings, tombs, etc. ), sets it off as true existence from the chaos which preexisted it and which remains, perhaps, outside its boundaries. The chaos is thus, in a profound sense, non-existence. We might say now that the chaos is the empty, absurd, horrible, and meaningless merely mundane and factual world so honestly represented by the Existentialist philosophers. Since we do not really want to say that mundane reality does not exist, we could regard chaos as something like Mâyâ in the Advaita Vedanta theory of Shankara: neither existing nor non-existing nor both nor neither, as opposed to the existence of Brahman. Sacred space thus reverses the situation in Buddhism, where the visible world has a prima facie existence, while Nirvâna involves the Four Fold Negation. On the other hand, in terms of time, we face the Antinomy-like paradox of cyclical time versus linear time. Eliade himself speaks of the terror of history, and he seems to be right that sacred time always involves a return to a paradigmatic mythic time in the past, the time of the creation, the Exodus, the Last Supper, etc. On the other hand, cyclical time contains its own terrors, as may be well perceived in Nietzsche's theory of the Eternal Recurrence, or in the endless and futile cycles within cycles of Hindu Deep Time. Thus, it should be clear that sacred time in religion is rather like a synthesis of the eternal and sacred in illo tempore ("in that time" -- Eliade loves his Latin) with the actual historical linearity of the present. The Antinomy allows us neither simple linearity nor simple cyclicity. A second important addition to Otto's theory may be seen in C.G. Jung with his theory of "synchronicity," which he calls "an acausal connecting principle." The word "synchronicity" can simply mean "together in time." Jung proposes the theory of synchronicity to deal with the occurrence of "meaningful coincidences." Events have always been meaningfully associated with each other, e.g. Halley's Comet appearing at the time of William the Conqueror's invasion of England, when it is now obvious that there can be no causal connection between them and when the slightest bit of scientific sophistication leads us to dismiss any such connections as superstition. Jung can take such connections seriously, not just because he is a psychologist who is interested in whatever appears "meaningful" to people, but also because he is actually a rather faithful Kantian who understands that causal connections themselves are problematic among things-in-themselves. The "meaning" of such connections, of course, is the same kind of meaning that Jung's Archetypes of the Collective Unconscious have, for which Jung self-consciously uses Otto's own term, numinosity. Synchronicity, therefore, coupled with Eliade's ontophany, is about the manner in which connections between events can strike us as real and meaningful, especially religiously meaningful, when there is no sensible, causal, and phenomenal reason for believing that there is a connection at all. This holds off, not the terror of history, but the terror of the arbitrary, random, pointless, and meaningless. 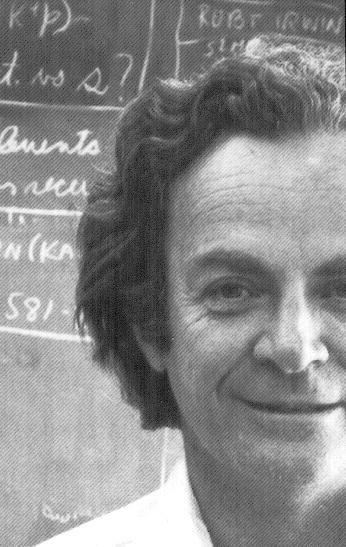 An example of synchronicity is recounted by the great physicist Richard Feynman (1918-1988) [In his quasi-autobiographical book "Surely You're Joking, Mr. Feynman! "], who is the kind of person who clearly and self-consciously lived in a mundane of world of science and nothing else. During World War II Feynman's first wife, Arlene, died of tuberculosis. She had been living in Albuquerque, New Mexico, while Feynman was working on the atomic bomb, not far away, at Los Alamos. Feynman was present when she died. Later he noticed that the clock by her bed, a rare digital clock (for that era) which had been a special gift from him, had stopped at the precise moment, according to the the death certificate, that she had died. That coincidence impressed him; but he comforted himself, after a fashion, by recalling that the nurse had moved the clock to check the time of death, which could have stopped its sensitive works. For the rest of his life he never for a moment doubted that the clock had stopped either from a very mundane cause or by nothing more than an extraordinary coincidence. To be sure, it was a coincidence -- but truly a meaningful coincidence. Feynman's universe did not contain Jung's category for him to speak about it. A more intriguing example of synchronicity is from an area that was of interest to Jung, astrology. Liz Greene is both a Jungian psychoanalyst and an astrologer, often using horoscopes as guides to psychoanalysis. In her 1983 book The Outer Planets & Their Cycles, The Astrology of the Collective [CRCS Publications, Reno, Nevada], Greene gives examples of "birth charts," not just of several historically famous persons, but of some countries, including the Soviet Union. While discussing the Soviet chart, she says, "I think it's worth considering now the conjunction which is approaching toward the end of the decade [i.e. the 80's], because the Russian chart of all the national charts we have looked at is the most strongly affected by it... I would therefore expect that, although the conjunction represents many other things on a deeper level, one of its effects is to produce concrete changes in Russia... It's very possible that the Russian regime may topple..." [p. 122]. Since this was written, or at least published, eight years before the fall of the Soviet Union, it stands as a fairly impressive bit of astrological forecasting, however qualified as merely "possible." Now, it is the only bit of astrology I have ever seen that is quite that impressive, so we can hardly say that this verifies astrological forecasting, in the face of all its falsification by failed predictions. On the other hand, this is the only forecast of trouble for the Soviet Union in the late 80's that I have ever seen from any source, including more presumptively scientific ones in economics, political science, sociology, or history. About the only forecasts for the failure of the Soviet economy that were ever made were those of Ludwig von Mises and F.A. Hayek. While Hayek did live to see the collapse of communist command economies and the fall of the Soviet Union (1989-1991), even he does not seem to have predicted prior to the event just when this would happen. Thus, while we don't want to say that Liz Greene has vindicated astrology, it is definitely a meaningful coincidence that she is about the only person in either science or para-science to have made so specific a forecast so much in advance, especially when respected economists were still writing, at the same time, that the Soviet economy worked and was successful. Certainly Jung would have been pleased and intrigued. This was delivered as a paper, "The Roots of Rudolf Otto's Theory of Numinosity in Immanuel Kant, Jakob Fries, and Leonard Nelson," to the Philosophy of Religion section of The Southern California Philosophy Conference at the University of California, Irvine, on Saturday, October 26, 1996. Some additions have been made to the essay since 1999, including all the epigraphs above and the footnotes below. Ego sum resurrectio et vita. Et omnis qui vivit et credit in me non moriertur in aeternum. Kant's statement, "I have therefore found it necessary to deny knowledge, in order to make room for faith," is one of the most famous things he wrote. However, as we will see in the text, neither he nor Jakob Fries meant by Glaube, "faith," what is ordinarily meant by the term in historical religions. Thus, when the room is made for "faith," we do not find the Nicene Creed, or anything like it. The statement, out of context, is confusing, if not deceptive, although Kant really seems insensible of the paradox of using "faith," not only in a novel way, but in a way contrary and unrelated to its general meaning. Both Kant and Fries actually were serious rationalists; and, despite the provision of Fries for an aesthetic content for religion, they were really uninterested in what would count as the conditions and means of salvation in historical religions. Even Rudolf Otto, who finally provides epistemological categories for real religions, at first continues in the rationalist fashion of Kant and Fries in his Die Kant-Friesische Religions-Philosophie. His addition of the numinous aspect of religion, while opening the door for principles of faith and, in the neutral sense, dogma, nevertheless does not mean that he abandons the rational structure that had been built by Kant and Fries, with its equivalent of natural theology and the emphasis on morality. Thus, Kant seemed to think that all religions will contain a belief in God and in immortality, yet he should have known from his own Classical education that Greek and Roman religion didn't really have this. Gods, yes, but God, no. An afterlife that is the half-existence of shades in Hades, yes, but not the genuine, blessed immortality promised by the later Mystery religions and Christianity (or by the metaphysics of an immortal soul). Thus, prior to his statement about faith, Kant had been discussing the things he believed reason, after a fashion, would establish, as Postulates of Practical Reason, namely God, freedom, and immortality. He was not in a position to know that Buddhism contains an explicit denial of such a God, or perhaps that Islamic theology even denies freedom. Perhaps this would have motivated him to deny, as we shall see he does with Judaism, that they are even religions. But when we have someone, as Kant was, with no apparent interest in the creed and principles of the religion in which he was raised, namely Christianity, it is not clear that he is in a position to judge the nature of anyone's historical religions. I have included some of what follows the quoted statement I am discussing, which gives us a clue about what is going on in Kant. Thus, he is worried about "unbelief" that "wars against morality." While moral principles are part of the belief systems of many religions, it is also true that they are not characteristic of all. As we see in Plato's Euthrypho, we get the sense that the Greeks were more concerned about the pollution resulting from murder than about the moral wrongfulness of the act itself. And at least one major, surviving modern religion, Shintoism in Japan, has little in the way of creed, theology, or morality but does observe strict rules about pollution. It is hard to imagine Kant or even Fries paying the slightest attention to religious concerns about pollution, although it is equally hard to imagine that they were totally unfamiliar with the rules about pollution in the Old Testament. From what we can gather of their attitudes towards Judaism, perhaps it is not surprising that such provisions in the Bible earn no attention or respect. So perhaps they could read Herodotus on the rules of purification observed by priests in Egypt. The Jewish faith was, in its original form, a collection of mere statutory laws upon which was established a political organization; for whatever moral additions were then or later appended to it in no way whatever belong to Judaism as such. Der jüdische Glaube ist, seiner ursprünglichen Einrichtung nach, ein Inbegriff bloß statutarischer Gesetze, auf welchen eine Staatsverfassung gegründet war; denn welcher moralische Zusätze entweder damals schon, oder such in der Folge ihm angehängt worden sing, die sind schlechterdings nicht zum Judentum, als einem solchen, gehörig. On Kant's strange criteria here -- ironically shared with Moses Mendelssohn [1729-1786], who also thought that only "legislation" was given to the Jews (by God?! ), although it is hard to know if Mendelssohn might have gotten this idea from Kant or, indeed, Kant from Mendelssohn, his near contemporary -- we might argue that there were no religions at all before Kant's Pietistic, moralistic, and rationalistic version of Christianity, since no ancient religion, or any modern one (really) either, has consisted of no more than the moral system of Kant's paradigm. At the same time, there was not in the earliest religion, persisting into Greek and Romans forms that should have been familiar to Kant, any distinction between morality, politics, and religion. There were no "mere statutory laws" that were without religious sanction or dimension (or religious categories like pollution) -- although Greek notions of "law-givers" began to approach that. There was no such thing as "merely an earthly state," let alone anything that would be so intended (by God? Moses?). Kant could be excused for not being familiar with the religion of the Egyptians or Babylonians (or, for that matter, the Chinese), which was barely known, and hardly known accurately, in his day; but the trial of Socrates alone, if attended to carefully, is an education in the relation between "church" and state in Classical civilization. There was no difference between them; and even Socrates, in defending himself, made no argument that there was. So, we cannot for a moment take Kant seriously as a historian of religion; and, given this deficiency, we are not likely to credit him as a serious philosopher of religion either. There is nothing here with which to save the phenomena in an accurate description of historical religion. At the same time, with Kant we are truly not dealing with a serious Christian either. If God handed the Law to Moses on Mt. Sinai, then the idea that it is not religious is preposterous. So Kant does not believe in the miraculous origin of Judaism, specifically this divine intervention into Nature; and, if not, he is not likely to believe in such origins of Christianity either. Kant is an Enlightenment Deist, and he is no more likely to believe in the divinity of Christ, or his role as Savior, than was the Epicurean Thomas Jefferson. Indeed, in construing religion as no more than a matter of rational morality, it is Kant, not Judaism, who presents the picture of a denatured something that is not a religion. Also, if we detect some antipathy towards Judaism in this analysis, its overtones become disturbing beyond its failures for an understanding of religion. Again, in ancient religion, or even in ancient philosophy, no one had heard of this "moral disposition." And the idea that "outward observance" is somehow irrelevant or inessential to religion is false and ahistorical -- ritual observance is precisely the meaning of religio in Latin or in Chinese. Kant has enshrined a Protestant prejudice -- a hostility to ritual, practice, and priests -- as an objective essence of religion. Ancient religion begins primarily as a matter of ritual and observance, without a superstructure of doctrine or even belief. Shintoism is still pretty much this way. The Latin term religio itself is at root no more than "respect for what is sacred, religious scruple," and "strict observance of religious ceremonial." But Kant has rejected and ignored this entire dimension of religion, despite its fundamental and original status. It is just not fundamental, or even relevant, to his denuminized, moralized, secularized, and reductionistic construction of "religion." It is all the "junk of history"; and we find Kant expressing his urge to be rid of it with a chilling pronouncement, that, in so far as Judaism embodies and symbolizes that junk, "The euthanasia of Judaism is the pure moral religion" [Die Euthanasie des Judentums ist die reine moralische Religion -- "The Strife of the Faculties," 1798, German text, Immanuel Kant, «Der Streit der Fakultäten», Werkausgabe XI, Schriffen zur Anthropologie, Geschichtsphilosophie, Politk und Pädagogik 1, Herausgeben von Wilhelm Weisschedel, Suhrkamp Taschenbuch Wissenschaft 192, Insel-Verlag Wiesbaden 1964, p.321]. "Euthanasia" now conjures images of later German practices that presumably would leave Kant stunned with horror; yet we wonder if such things could have grown, in part, from a thoughtless and confused prouncement like this. So we might ask Kant, whether, if Matthew 22:39 is the proof text for the internalization of Christian ethics, why Jewish ethics was not also internalized already by Leviticus 19:18, which Jesus merely endorses and highlights? It is hard to imagine an answer, if Kant keeps to his thesis, that does not betray some sort of bad faith. Or, at least, Jesus knew his Bible better than Immanuel Kant. But we see that Jesus got his "message of 'love'" from the preexisting canon of Judaism. Since Wagner, and Kant, were apparently unaware of this, and it is not clear that they have the slightest love for the Jews, despite the message, it is they who have have "rejected" the message of love. Indeed, Wagner, like earlier and later anti-Semites, toyed with the idea that Jesus wasn't a Jew at all, which presumably means that Christianity was unrelated to Judaism -- the revival of a Gnostic heresy that rejected the meaning or relevance of the Old Testament and its jealous God for Christianity. The sort of "Christian" anti-Semitism of people like Wagner thus becomes part of Christian heresiology, not Christianity. Again, Kant seems to know neither his Bible nor his Homer, where Sheol is comparable to Hades both in its lack of moral valence and in the sense that the dead therein are shadowy and incomplete. Kant cannot have known that the Sumerian and Babylonian underworlds (or that of Japanese mythology) were very similar, but he did not need to know of them to form a sensible and informed judgment, which he does not, from available sources. Similarly, while Greek religion may be said to have a "Hell," namely Hades, there is no correspondent Heaven -- until something of the sort was introduced by the Mystery Cults, or by Plato. And to the idea that belief in a Heaven and a Hell "automatically obtrudes itself upon everyone," not only should Kant have known that this was false, from his Classical education, but we now see that even the Egyptians, who were perhaps the first to ethicize the afterlife with the moral Judgment of the dead, provided extinction, not Hell, for the condemned. Kant takes doctrines that represent the sophistication of developed and evolved religion for the logical, primitive, and early essence of the thing [note]. So Kant is seriously and disastrously out of his reckoning. This ignorant and prejudiced passage served his argument, again, that the Jewish Law was merely political, the absurdity of which we have already seen, because it doesn't mention the mechanism of moral judgment in the afterlife. Such an argument, furthermore, not only betrays no familiarity with the history of religion, but it also clashes with Kant's own system of morality, which holds that moral action can only properly be performed from a sense of duty, not because of promises of divine reward or threats of divine punishment. Indeed, is not the Judgment of the dead merely something external and coercive, as Kant says of Judaism, rather than something directed to the "moral disposition"? Indeed. Kant's theory of religion here thus seems both unrelated to most of actual religion -- a not unusual failure in the philosophy of religion -- but it is also morally confused on its own terms. Rose has touched the sore point, but then he has missed just how paradoxical this is in terms of Kant's own thought. If Judaism doesn't believe in an ethicized afterlife, then perhaps Jews obey the Law from a sense of duty alone -- which makes them good Kantians -- while, if Christians, with a belief in the afterlife, are good from hope of Heaven or fear of Hell, their sense of duty is corrupted, imperfect, and unworthy in Kantian moral terms. Clearly Kant wants to think that Jewish "self-interest" consists in fear of secular, rather than eternal, justice; but, given the notorious uncertanties of justice in this world, we might suspect that this is an ungenerous, if not hostile and uninformed, reading of Jewish attitudes towards obedience to God. Kant's use of the afterlife in his argument at the very least presents Christians as unambiguously self-interested (obeying no more than a "hypothetical," i.e. conditional, imperative), while Judaism could very well be construed as morally conscientious in Kant's own moral system (with a categorical imperative). That Kant seems insensible of this paradox may reveal the irrationality of a personal prejudice. That is not something we would like to see in a philosopher like Kant, but it cannot be ruled out. My reference to the "sophistication of developed and evolved religion" might be taken to place me with Kant and Hegel in the view that Judaism is an early and unevolved religion which was and is properly surpassed and best replaced by later religion, like Christianity. However, I think I can have it both ways. Judaism certainly is early, and the Hebrew Bible does not contain formal and elaborate doctrines about things like the afterlife or the judgment and reward or punishment of the dead. However, all those things did soon become part of Jewish traditional and popular discussion and belief, as we know from the New Testament itself, where Jesus clashes with the Sadducees, who did not believe in an afterlife, while the Pharisees apparently did. That such beliefs did not become part of a doctrinal system of Jewish dogma might be traced to the absence of the sort of doctrinal authorities that are so familiar from Christianity, especially after the destruction of the Temple and the loss of the priesthood. As in Islam, orthodox belief becomes a matter of consensus, without doctrinal authority to resolve disputes. Of course, when Christianity tried to resolve disputes with the doctrinal authority of Ecumenical Councils, the disputes were often not resolved, but just exacerbated. [Ezekiel 37:4-6] Then he said to me, "Prophesy to these bones and say to them, 'Dry bones, hear the word of ! This is what the Sovereign says to these bones: I will make breath enter you, and you will come to life. I will attach tendons to you and make flesh come upon you and cover you with skin; I will put breath in you, and you will come to life. Then you will know that I am '." The idea of bodily resurrection, from scattered bones or less, does not seem to antedate this passage (from the Babylonian Exile period) in any other Middle Eastern religions. In Judaism it led directly to widespread belief in bodily resurrection, including belief that the bones of Jews buried outside Palestine (as in Exile Babylonia) would themselves return there for resurrection [cf. After One-Hundred-And-Twenty, Reflecting on Death, Mourning, and the Afterlife in the Jewish Tradition, by Hillel Halkin, Princeton University Press, 2016]. Indeed, other Middle Eastern religions contained no idea of bodily resurrection, except where, as in Chirsitian and Islam, it inherits the idea from Judaism. This is a fundamental point. The Resurrection, so essential to the Apocalyptic doctrines of Christianity and Islam, came, all but fully formed, from Judaism, with a Biblical basis. We are free to suspect, however, that Kant was not the sort of believer, if a Christian at all, to believe in the Resurrection, or the Apoclapse. For philosophers, Greek ideas of immortality through a disembodied soul, which most Christians (and Jews) adopted as an interim condition between death and resurrection, sounded a lot better than getting back into a messy physical body. So, if Kant was even familiar with Ezekiel (he certainly was not familiar with any of the Talmud, where various issues are argued out), it might have slipped his mind as irrelevent to the metaphysics of the soul. The circumstance that traditional and popular belief, although articuled by the Learned and based on the Bible, could be regarded as not a proper part of Judaism has been seized upon, not just by Kant, but by secularized Jews, who enjoy affirming that Judaism is not "otherworldly" and, in terms of this world, is all about "social justice," if not socialism. While discrediting Judaism as a religion to Kant, this is elevated to a virtue by secularized Jews, who thus may replace God himself with political activism of a Leftist bent -- which, with its hostility to finance, capital, and business, inevitably rebounds upon the Jews themselves, who have remained targets since well before Kant's day for their economic success and their involvement with finance. In 2015 I encountered an activist atheist, a secularized Jew, who wanted to agree with Kant that Judaism was "not a religion" at all. Yet, in recounting the evils of religion, every single example cited by this person involved Judaism. Their antipathy, although generally expressed about all religions, thus, bearing the stigmata (as it were) of a lapsed and disillusioned practitioner, focused on the specifics of their own lost faith. When public opinion polls find that a good 60% of Jews no longer believe in God, it is not surprising that the ritual and devotion of the religion, with its distinctive outward signs, should become objects of positive hostility. At the same time, if we happen to leave out the afterlife and social justice, what is left is indeed the religious intuition and practice of Judaism, which involves ritual observances that display devotion to God. The continuing power of this intuition is not only manifest in religious Jews, but it clearly is of the same sort evident in much of Christianity and Islam. Charleton Heston was not Jewish, and the annual showing of The Ten Commandments  on American television clearly appeals to a much larger audience. Even filtered through Hollywood, the power of the relationship of Moses to God shows through. There is nothing quite like it in other religions, and the Qur'ân relies heavily on the story, even as the central mysteries of Christianity are patterned and matched to the Passover. Did Kant observe Easter? Did the Power of God displayed in the Passover register at all with him? I would guess no to both. Thus, even if Judaism seems to lack the institutional metaphysics or other doctrinal flourishes of younger religions, to the point even of becoming a point of pride with secular Jews (who may not even believe in God), it can still be the living root even of them, with no apologies needed for its own continuing form, which in many ways is quite elaborate enough, thank you. If we then take into account the vast literature of the Jewish tradition, with ancient roots in the Talmud, we certainly have a lot to work with, without what may indeed be called, with accuracy and precision, the dogmatism of the other religions. The evolution of Judaism thus may be better placed than the religions that previously folded particular metaphysical ideas into their authoritative doctrine -- it is hard to forget the disgrace of the Catholic Church, that it should have staked its reputation on the astronomical theory of the pagan Claudius Ptolemy, when the Church might have embraced its own sons, Copernicus and Galileo, at the forefront of modern knowledge. Although not an observant Jew himself, Einstein certainly never had to worry about trouble with his religious tradition. He was invited to be President of Israel.